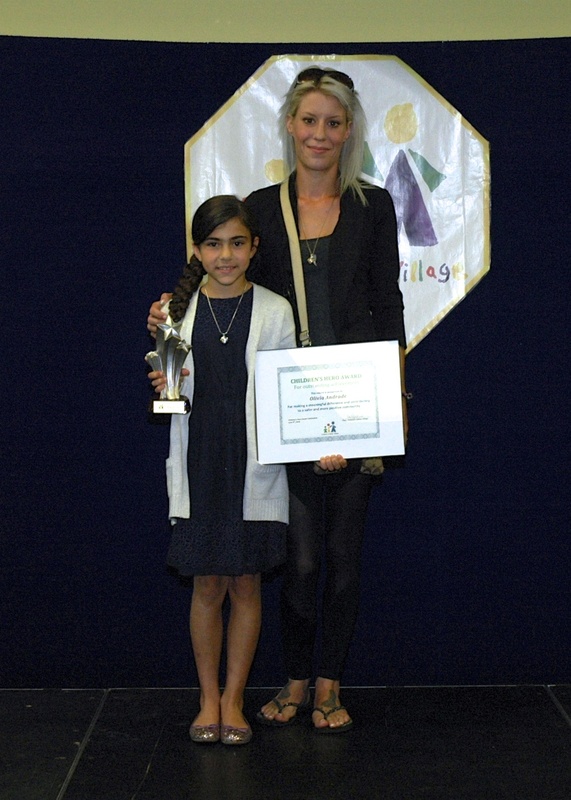 On June 9th at the Annual Children’s Hero Awards, Olivia Andrade was recognized as a Hero. Here is Olivia’s story. In June of 2017, Olivia received news that her best friend Nevaeh had been diagnosed with an inoperable brain tumor. The prognosis was poor and doctors estimated she had 6-12 months remaining. The following month, Neveah started her weekly radiation treatments at McMaster Hospital in Hamilton. Olivia volunteered her time and every treatment day at 6:30am she was out the door with Nevaeh and her family. Olivia made sure she was present for every scan, prick and prod to support her friend. 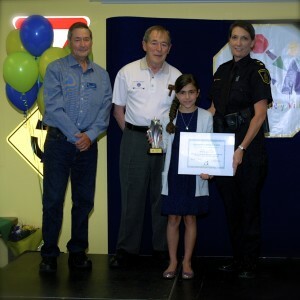 While Nevaeh was still able to attend school, Olivia spent her recesses and lunch hours attending to all of Nevaeh’s needs, pushing her around school in her wheelchair. Olivia did not mind that she was missing spending time with other friends, or participating in school activities. Instead, and unselfishly, Olivia set out to guarantee they made the most of Nevaeh’s remaining months. Fortunately the radiation was successful in shrinking Nevaeh’s tumor and for 2 months she was able to experience activities like horse back riding, time at the trailer, and sleepovers among other activities. February 2018 was a difficult month, Nevaeh’s tumor returned along with her symptoms and declining health. Olivia again stepped up to the plate to do what she could for her best friend and Nevaeh’s family. On March 7th, Nevaeh passed away. Saying goodbye was very hard on Olivia; however she behaved well beyond her years in those last few days. Olivia was thoughtful, she was mature, and she was mindful of being supportive while giving the family the space they need to grieve. Olivia felt the best way to remember Nevaeh was to speak in memory of the times they shared together, she recalled the laughter and the good times, with a fondness that was so innocent and pure. Since Olivia said goodbye to her friend, she has been going through a challenging time as she transitions back to normal school activities and re-building friendships that were lost. Olivia showed strength and maturity during a very emotional time. Also in attendance at the awards ceremony was Neveah’s mom. 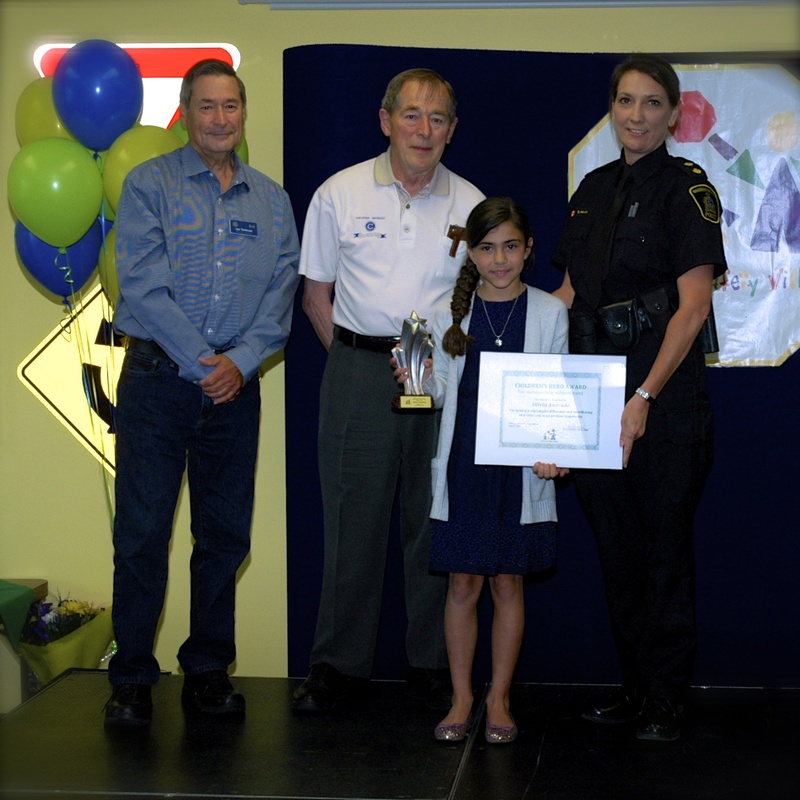 Olivia’s award was sponsored by KW Civitan Club.